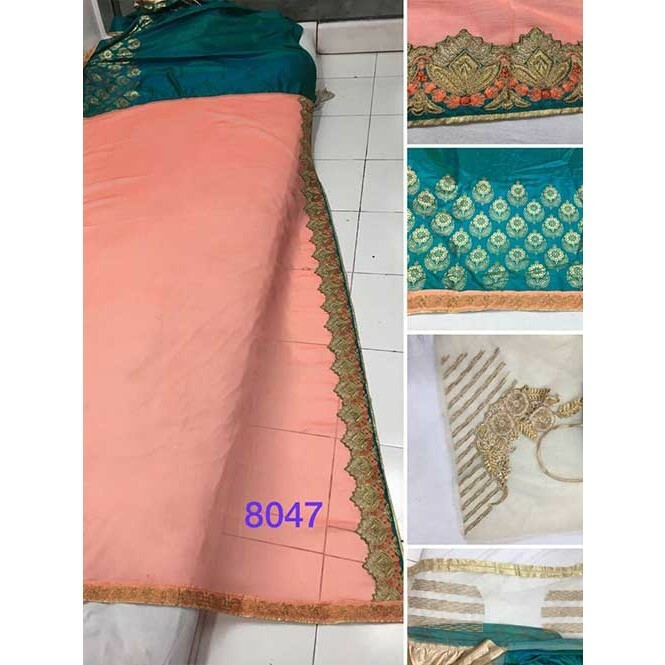 Fashion and trend will be on the peak of your attractiveness as soon as you dresses this Peach And Sea Green Embroidered Work Soft Silk and Paper Silk Half N Half Designer Saree. 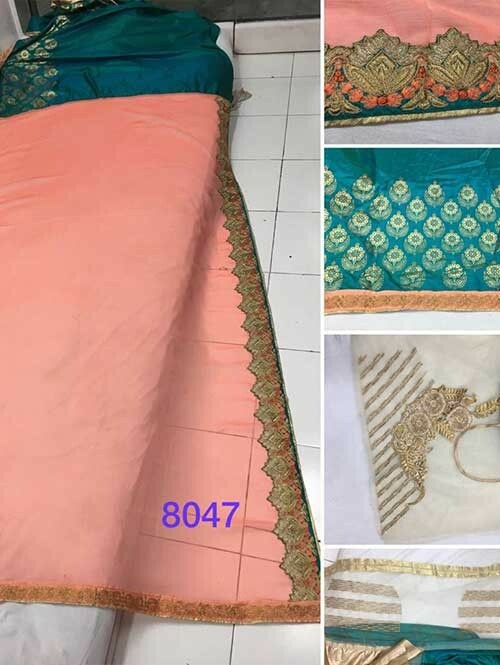 That you can see some intriguing patterns done with embroidered and patch border work. Comes with matching blouse.